Original Intercontinental Title Plans for WWE No Mercy, Second Match Inside 'Hell In A Cell'? - There will apparently be another Hell In A Cell match at next month's WWE Hell In A Cell pay-per-view. Ryan Satin of Pro Wrestling Sheet reported on his podcast that the current plan is for WWE SmackDown Tag Team Champions The New Day to defend their titles in the Cell against The Usos. 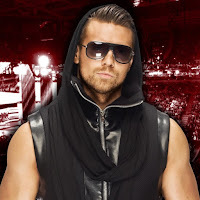 - Dave Meltzer reported in the latest issue of The Wrestling Observer Newsletter that the original plan was for The Miz to defend his Intercontinental Title against Jason Jordan at the upcoming WWE No Mercy pay-per-view event. It’s now being said that the status of that match is up in the air since WWE has done nothing on television to build the match up and there is only one week left until the show. It’s still very possible that WWE may book the match at last minute.